Move over, Dora the Explorer. You’ve finally done it! You’re a U.S. Citizen who got the job offer to work abroad. Before you start packing your bags for the big move, take a minute to consider what laws may apply (and protect) you as a U.S. Citizen working abroad. What Laws May Protect Me Outside the U.S.? Let’s take the hypothetical case of Mary, who is a U.S. citizen hired by Florida-based Sprockets International, a multinational employer with offices around the world. Sprockets sends Mary to London for a year to help establish their new office in the United Kingdom. During this time, do U.S. labor laws still protect Mary? 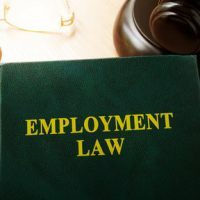 The Age Discrimination in Employment Act of 1976 (ADEA), which further protects Mary against employment discrimination on the basis of age, provided she is at least 40 years old. The Americans with Disabilities Act (ADA), which prohibits job discrimination on the basis of an employee’s physical or mental impairment, and also requires an employer to make “reasonable accommodation” upon request for such impairments. In addition to the U.S. laws, American employees working overseas may be entitled to additional protections under the laws of their host countries. For instance, Mary may be entitled to certain employment rights under United Kingdom and (at least until 2019) European Union laws. Obviously, you should need to speak with an attorney who is knowledgeable in a given country’s laws for more precise guidance on this subject. But What if You’re Not Working Abroad for an “American Employer”? In our above hypothetical, Mary is working for a business incorporated in the United States with its principal office in Miami. But in other situations, it may not be immediately obvious the employer or the employee whether U.S. law applies. For example, what about an employer that is incorporated in Canada but simply maintains a small business office in Miami? Or what if the company has no permanent office in the United States but simply hires Americans to work for them abroad? Where is the employer’s principal place of business? What is the nationality of the employer’s owner or controlling shareholders? Alternatively, is the business controlled by another company that is classified as an American employer? What is the nationality and location of the employer’s management? Ultimately, sorting out whether or not you actually work for an American employer and rights protecting your employment requires a hard look at the unique circumstances of your employment. If you have questions or need advice in this area, contact a qualified employment law attorney today.